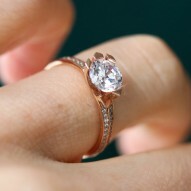 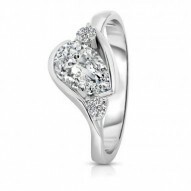 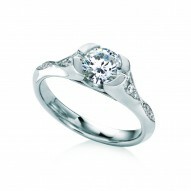 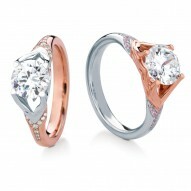 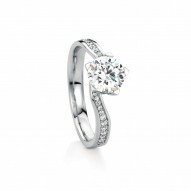 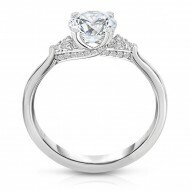 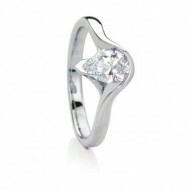 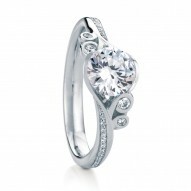 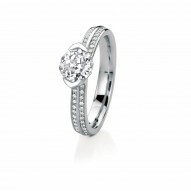 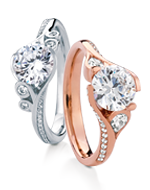 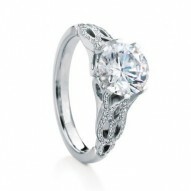 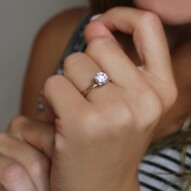 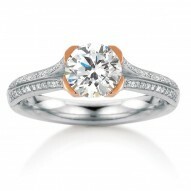 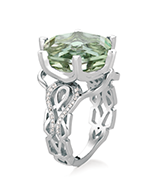 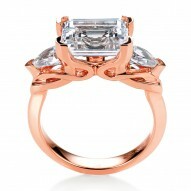 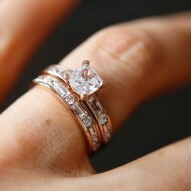 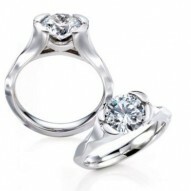 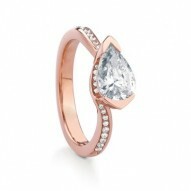 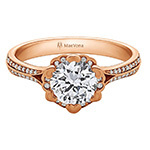 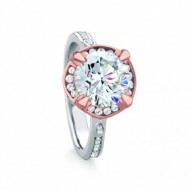 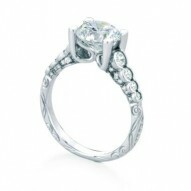 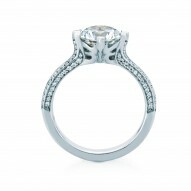 Round brilliant-cut solitaire named after the Scottish Wildflower Primrose. 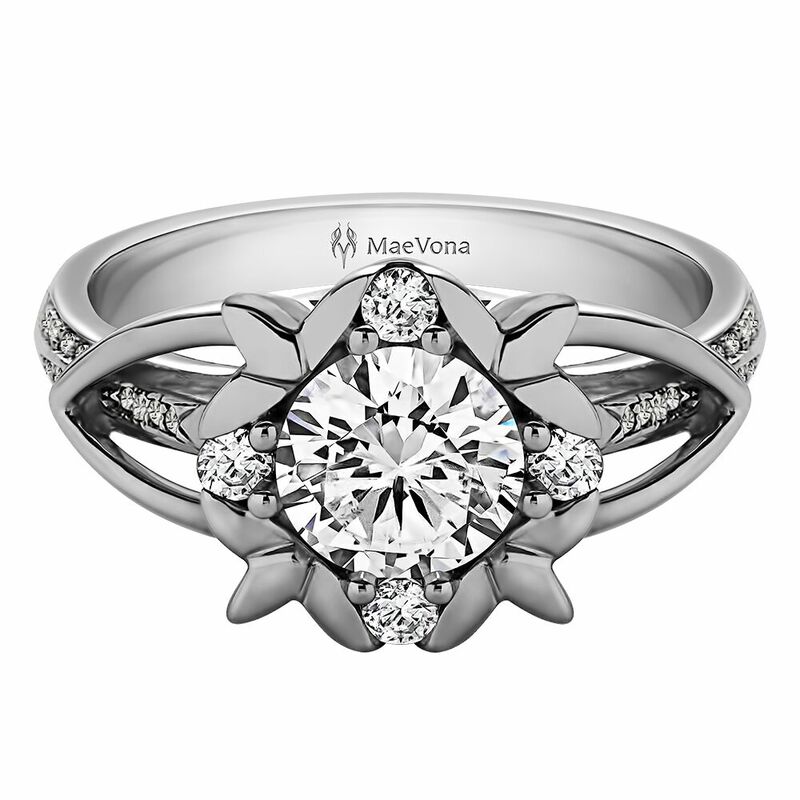 Accented with four round diamonds and delicate pave details, this flower's petal-shaped prongs flow seamlessly down the shank. 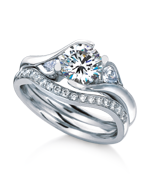 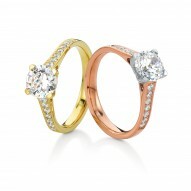 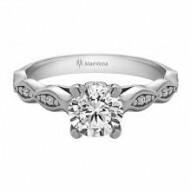 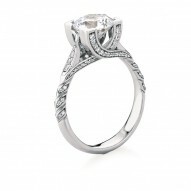 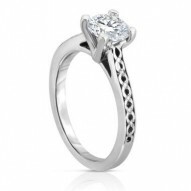 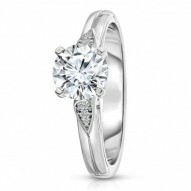 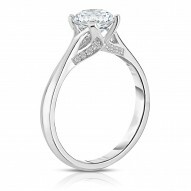 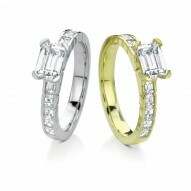 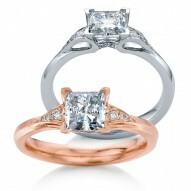 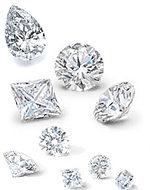 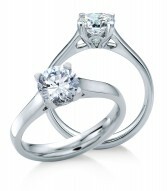 Set with 0.21ct H-SI diamonds.